Discover all that Morro Bay (CA) has to offer with Morro Crest Inn as a base. All hotel's guestrooms have all the conveniences expected in a hotel in its class to suit guests' utmost comforts. All of the guestrooms are replete with non smoking rooms, hair dryer, separate shower and tub, satellite/cable TV, coffee/tea maker. 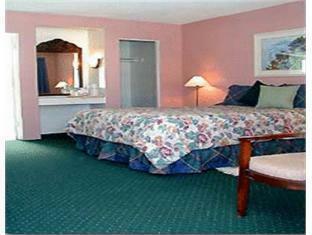 To suit guests' convenience, this Morro Bay (CA) accommodation offers disabled facilities. This hotel is characterized by a combination of modern comfort and traditional element of Morro Bay (CA), making it a distinct accommodation. Please complete our secure online booking form by entering your period of stay.